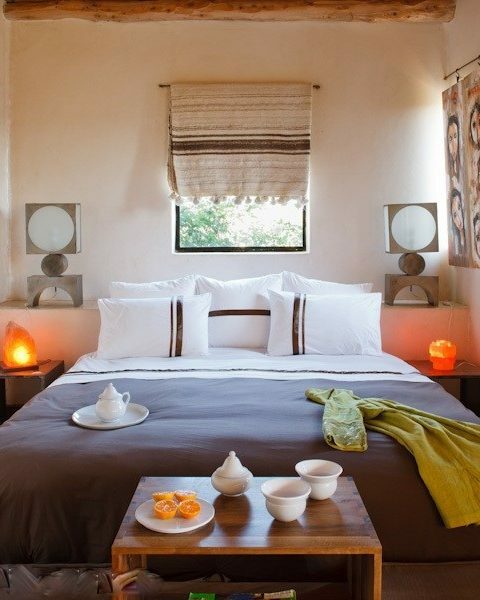 The Kasbah Mamouna Essaouira is a modernistic Kasbah in the heart of the Essaouira countryside. 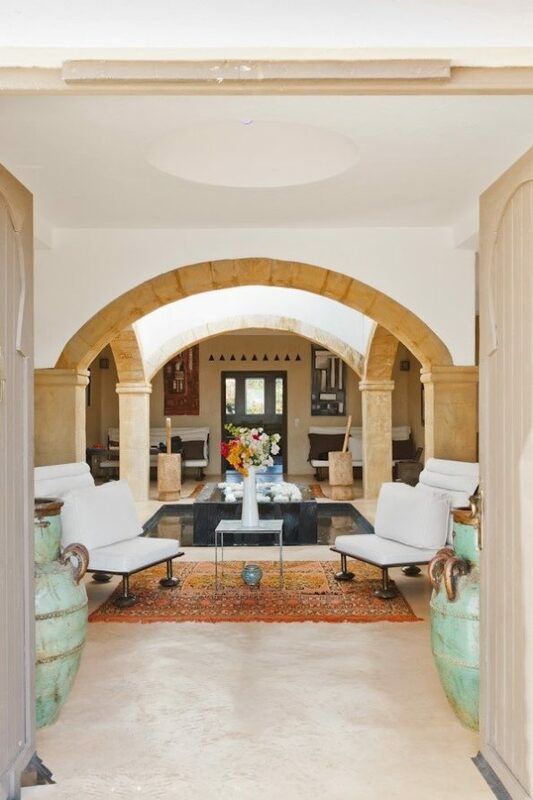 The KASBAH -villa- located just a few kilometres from Essaouira, is a pretty dry stone built villa, a seductive retreat for friends or family to enjoy the true luxury of Morocco. 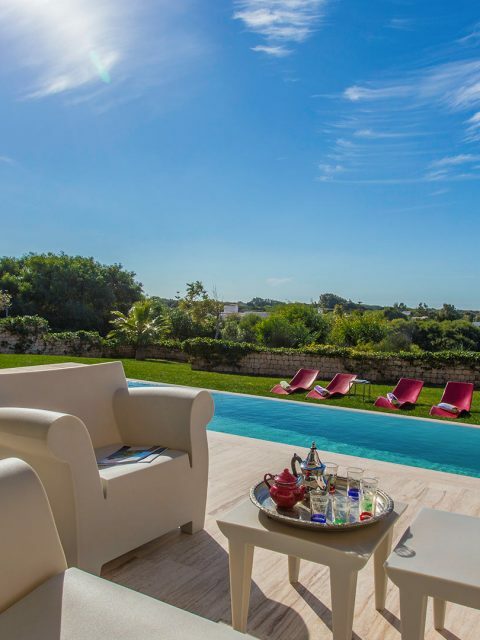 It has boasting unobstructed panoramic views, a private heated swimming pool in its own gardens, an indoor fireplace and four luxury bedrooms. 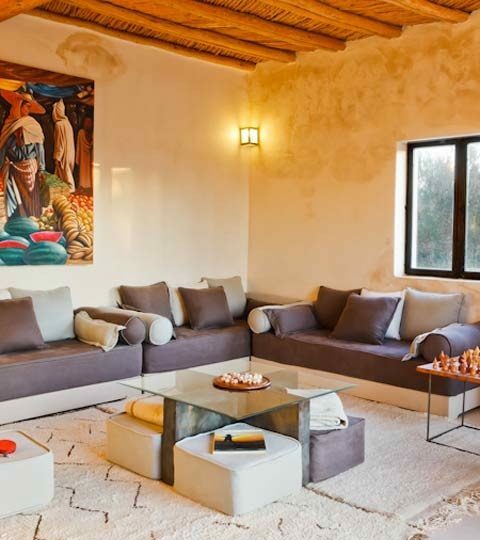 It is the perfect place for more or less ten people that want to enjoy the mysterious luxury of the Kasbah. 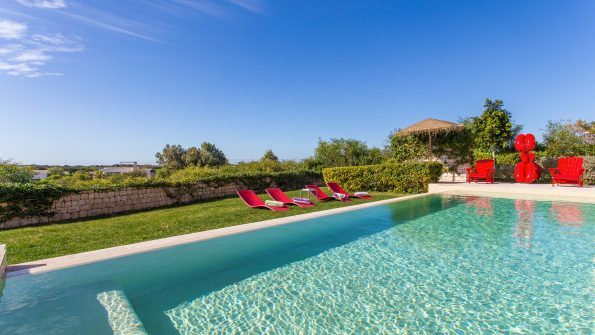 The villa is located in a garden of one hectare and has a beautiful pool next to it, which is a large pool house with living room, kitchen area and a bathroom. 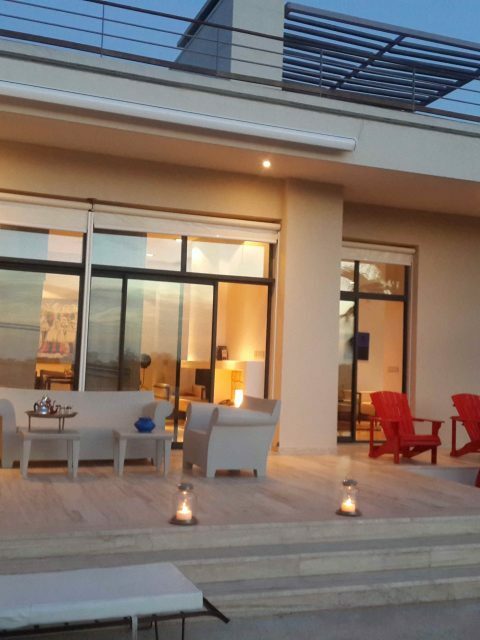 It has two suites and all the amenities to please the guests. 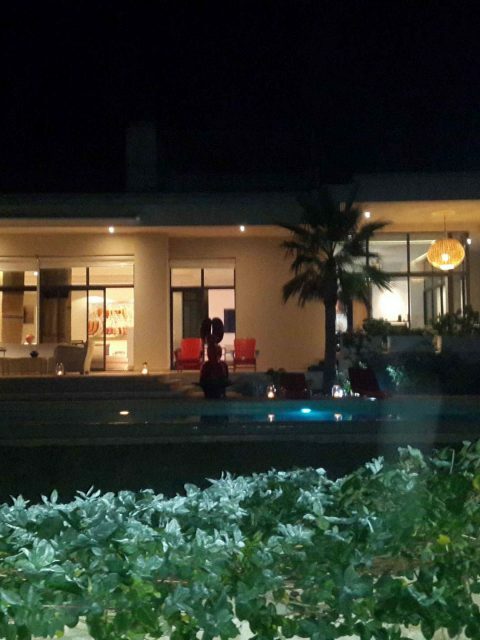 You can hire the private chef service. 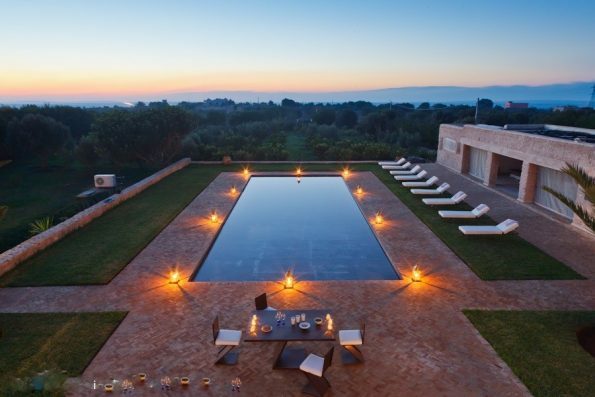 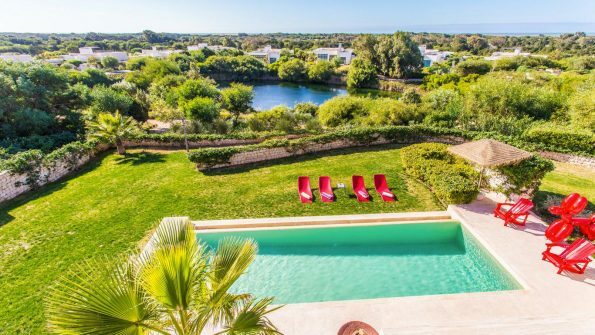 Villa Mamouna is a beautiful contemporary villa on the Mogador Golf Course near the charming coastal medina of Essaouira. 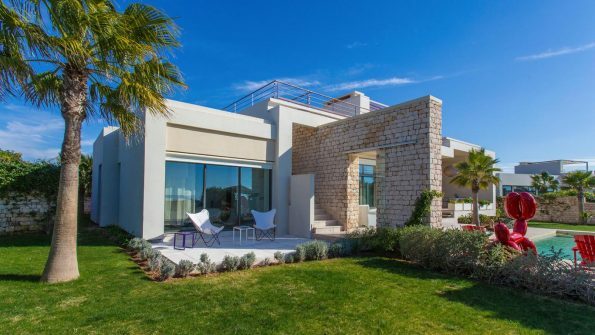 It offers beautiful sea views over the Atlantic, relax moments in modern comfortable furnishings, a private heated swimming pool, private parking and rest in its four ensuite luxury bedrooms. 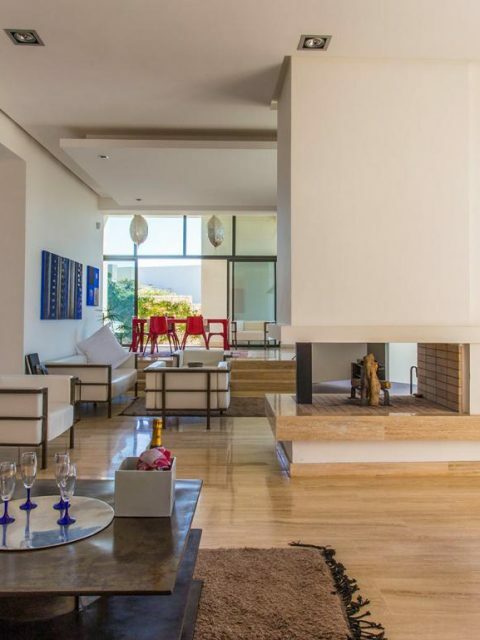 This delightful airy contemporary villa is situated in an environment of high quality at the heart of the prestigious Essaouira Mogador Golf Course. 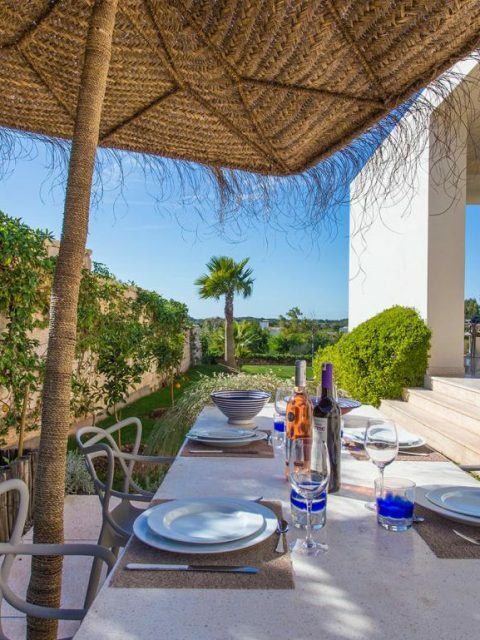 With superb panoramic views to the Atlantic Ocean and the immediate vicinity of the golf course, it is in a secure location in a private sector of 580 hectares facing the sea. 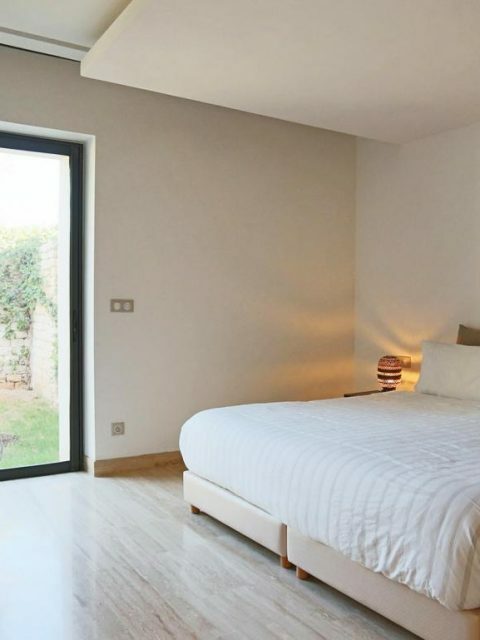 Ideally located just 5 minute drive from the charming blue and white Medina, with its ancient history and ramparted promenade which is full of narrow colourful streets bustling with artisans selling their carefully crafted products.